Project G.R.A.C.E. depends on the generosity of our neighbors so that we might lend a hand to our neighbors in need. Gifts in any amount are gladly accepted and deeply appreciated. 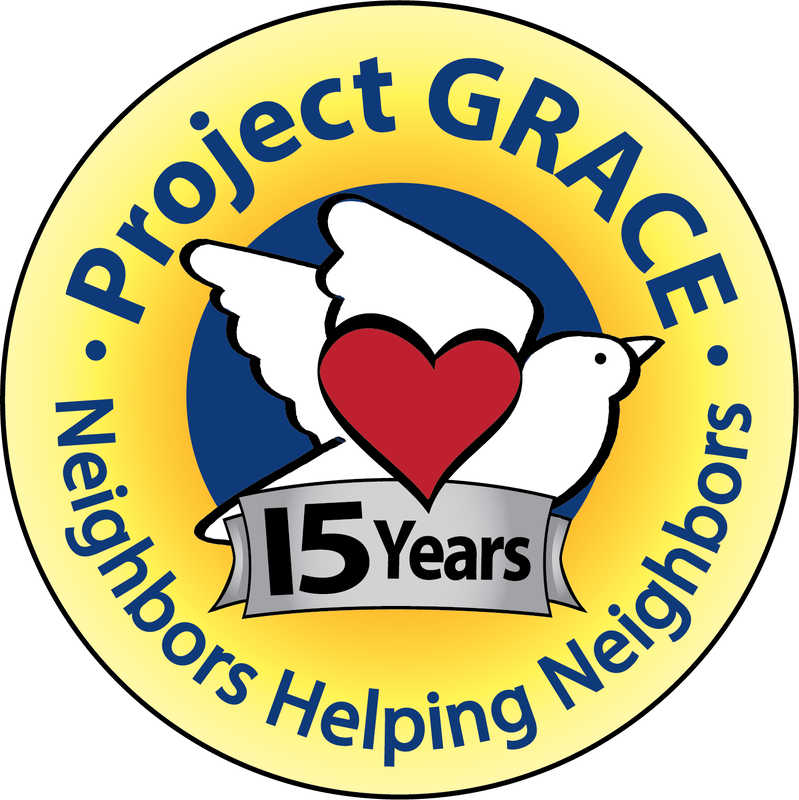 Project GRACE relies on the generosity of the community to help our neighbors. Thank you! Thanksgiving baskets, presents under the tree for children, and more... help us make a family's holiday season brighter. To give to the Neighbors Helping Neighbors Fund, which allows us to help those in need where it is most impactful, click here or send us a check with a note in the memo. To give to the Fuel Assistance Fund, click here or send us a check with a note in the memo. To give to the Camp & School Needs Fund, click here or send us a check with a note in the memo. To help a child be ready for back-to-school, click here or send us a check with a note in the memo. To give to this designated fund for our partners at Operation HOPE, ﻿click here﻿ or send us a check payable to Project GRACE with a note in the memo that the gift is for Operation HOPE. To give to the Devon Higgins HOPE Scholarship, a designated fund for Operation HOPE, click here.or send us a check payable to Project GRACE with a note in the memo. We welcome the support of individuals and organizations who would like to help us. Permission in advance must be secured from Project GRACE. Please see our policy and application prior to hosting any fundraiser on behalf of Project GRACE or Operation HOPE. If you would like to discuss your fundraiser before applying, please call us at 883-5111. Contact us today to talk about how your business or group can be a named sponsor for our marquis fundraisers, the annual Trivia Bee, Community Thanksgiving Dinner, Rally to Keep Our Neighbors Warm or other special events and programs like the Community Gardens. Other questions? Please let us know. Your thoughtful generosity is deeply appreciated. We would be honored to be chosen as a charity to give tribute to or remember someone special to you. If you would like us to send a note to the honoree or a family member, please include contact information with your gift.